Is Fast And Furious Obama’s Watergate? Obama has more "gates" than a prison. Starting with birther-gate. And speaking of prisons, this man and his Attorney General need to answer for this to the American people and specifically to Border Patrol agent Brian Terry's family whose son, will never come home. -W.E. Operation Fast and Furious has been painted as a rogue program out of the ATF Phoenix Office, with no orchestration at the Department of Justice or White House. When it was revealed that Eric Holder had received memos discussing Fast and Furious, Holder denied reading them. When wiretap applications discussing Fast and Furious approved by the DOJ were revealed, Holder stated DOJ officials only read summary sheets that did not include any mention of Fast and Furious details. 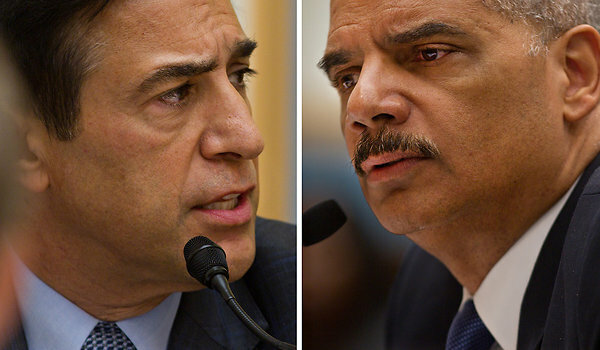 When Darrell Issa, spearheading the investigation, subpoenaed 80,000 documents relating to Fast and Furious, Holder refused to comply because of “ongoing investigations,” providing less than ten percent of the documents (most of which were redacted.) Holder’s claim of “ongoing investigations” was an obvious stonewalling technique that he has used many times in the past, including during the Clinton Administration. With a Contempt of Congress vote looming against Eric Holder, Obama threw down the gauntlet, asserting Executive Privilege regarding the subpoenaed documents. This was obviously an eleventh hour ruse, bringing to the fore the belief (as most have asserted all along) that Fast and Furious was an Obama Administration program, not (as asserted) an operation conducted by a handful of rogue ATF agents. 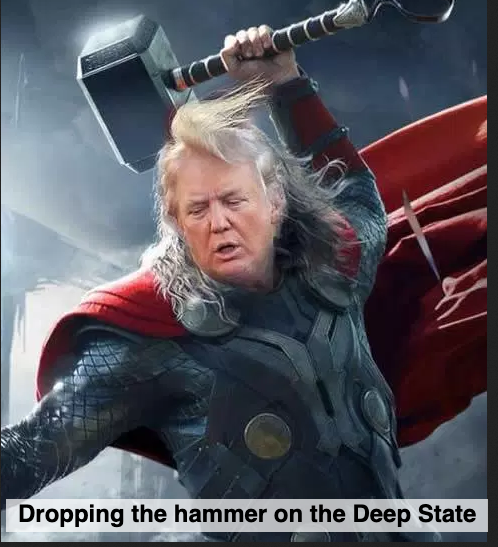 Regardless, the Obama Administration is now in attack mode with the House Oversight Committee voting to place Eric Holder in contempt of Congress. That Obama would issue this right to cover tens of thousands of documents is ludicrous. “The communication must be authored or ‘solicited and received’ by a close White House advisor (or the President). The judicial test is that an advisor must be in ‘operational proximity’ with the President. This effectively means that the scope of the presidential communications privilege extends only to the boundaries of the White House and the Executive Office complex” (51). Ironically, Executive Privilege cannot be used unless Obama was involved in Fast and Furious. And if he was involved in Fast and Furious, then Obama was involved in sending hundreds of guns to Mexican drug cartels. If Obama was involved in facilitating the murders of hundreds of Mexican citizens, and at least one American citizen—Border Patrol agent Brian Terry—this would necessitate immediate impeachment. Of course, most Americans know that Fast and Furious was an Obama Administration-orchestrated program in order to substantiate Obama’s wild claim in March of 2009 (parroted by Holder, Napolitano, and Hillary Clinton) that 90% of weapons used by Mexican drug cartels in violent crime come from U.S. gun dealers. To demonize U.S. gun dealers by first encouraging them to sell to Mexican drug cartel straw buyers, and then to blame them for doing so. To ramp up gun laws. To curtail and eventually void the Second Amendment. To literally countermand the highest law in the land! This is Obama’s Watergate, and the American people will not rest until this man is removed from power.